These are my children Trinity (2) and Jordan (5)! 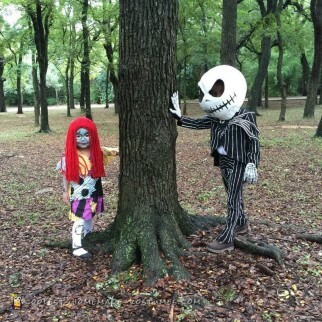 Jacks head is made out of paper mâché and Sally’s dress and wig is hand stitched. I used hotglue, acrylic paints, puffy paint, yarn! The most difficult part had to be the Paper mâché because that head itself took 2 weeks! Originally got the idea off of Pinterest and tweaked it majorly! The reactions were unbelievable. 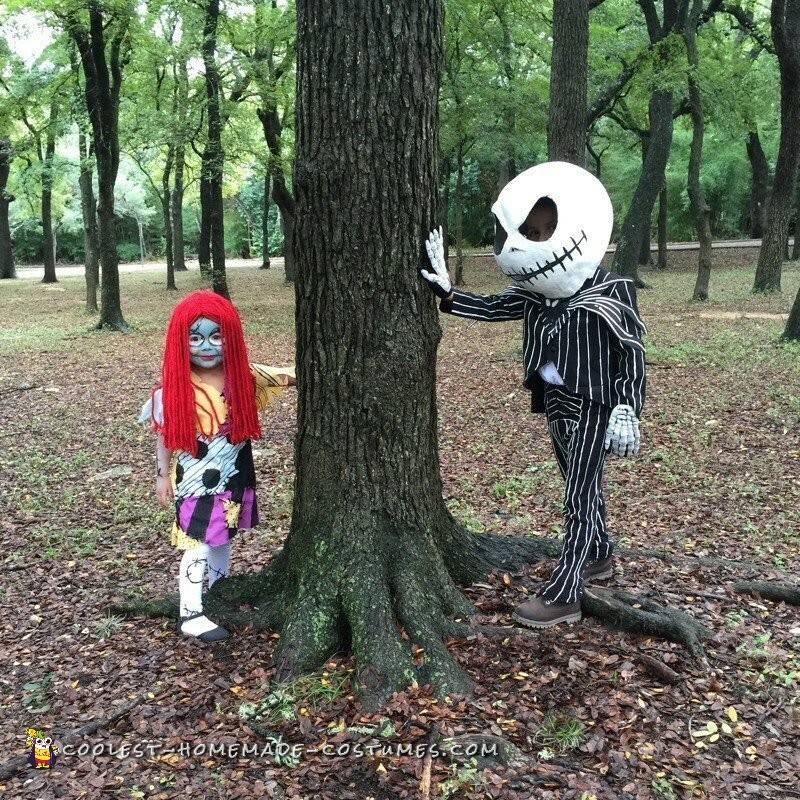 Every house we stopped asked to take pictutes and were completely blown away and a couple of people asked if I was a costume designer!